Of recent, Li-Fi has been a buzzword, given the claims of it being 100 times faster thanWi-Fi and something that could possibly revolutionise IoT. While the technology is still in its trial stage, businesses and technology experts are eagerly comparing it with other location based technologies like iBeacon. Meanwhile, they are also busy exploring various aspects of Li-Fi to understand if it would be worth investing in it. Since most of the information on Li-Fi and the technology involved is scattered all over the internet, there is much ambiguity surrounding its working, usage, and so on. With multiple questions and doubts prevalent around Li-Fi, we bring you this post that aims at answering frequently asked questions about this relatively new technology and where it stands against beacons. Li-Fi, an abbreviation for Light Fidelity, refers to a new wireless form of Visible Light Communication (VLC) technology which delivers high-speed, bidirectional, networked mobile communications by using light from light-emitting diodes (LEDs) instead of radio waves as in the case of Wi-Fi. It transmits binary data in the form of light streams and thus is a subset of Optical Wireless Communication (OWC) which refers to all types of optical communications where cables (optical fibres) are not used. 2) When did Li-Fi originate? The term ‘Li-Fi’ was coined by German Physicist Harald Haas and introduced by him during his 2011 TED Talk. It was here that he first demonstrated how light from an LED bulb could transmit more data than a cellular tower. 3) What is VLC technology? Visible Light Communication technology is an optical wireless data communications medium which uses visible light between 400 and 800 THz (780–375 nm) to transmit binary data in the form of light pulses. This data transmission is both ambient and detectable by other LEDs that act as photodiodes. So, in brief, VLC technology provides for both communication and illumination. 4) How does Li-Fi work? Li-Fi uses light from light-emitting diodes as a medium to deliver networked, mobile, high-speed communication. Data is transmitted by modulating the intensity of the light at nanosecond intervals which is too quick to be detected by the human eye. This data is then received by a photosensitive detector. Thereafter, the light signal is demodulated into electronic form. 5) Does Li-Fi work only with light of a specific wavelength and frequency? Yes, Li-Fi uses visible light band, between 400 and 800 THz (780–375 nm), of the electromagnetic spectrum to transmit data. In other words, Li-Fi is a VLC technology, which is different from FSO (Free Space Optical) communication. While the former is constrained to visible light, the latter includes ultraviolet (UV) and infrared (IR) waves as well. FSO communication often uses laser diodes rather than LEDs for the transmission, since illumination is not a primary requirement for it. 6) What hardware does Li-Fi require to function? What hardware does Li-Fi require to function? 7) Does Li-Fi require special LEDs? Li-Fi can work with the existing LED devices which are currently being manufactured and sold based on their performance for illumination purposes. However, it is possible that once Li-Fi technology gains popularity, specialist LEDs which are built with Li-Fi performance as a key aspect will become a part of the LED industry. Does Li-Fi require special LEDs to perform? 8) Can LEDs be used to send data to any smartphone? Is Li-Fi uni-directional – can it receive data as well? Yes, LEDs can be used to send binary data to any receiver (including smartphones), that is equipped with decoder, and in the range of the LED device. Once the light signal is decoded, it may trigger certain actions (such as a product video) upon its communication with a mobile app. Though Li-Fi is not unidirectional, i.e. it can both transmit and receive data, LEDs can currently only be used to transmit data due to feasibility and cost issues involved. 9) What is the range of a Li-Fi LED? The range of a Li-Fi LED can vary depending on the strength of the light which is being emitted by the LED. 10) Does sunlight interfere with the reception? Yes, however it is relatively simple to eliminate the majority of interference from natural and artificial sources through optical filters. 11) How is iBeacon technology different from Li-Fi? How it works iBeacon technology uses small low-cost, low-powered transmitters equipped with Bluetooth Low Energy or BLE (also called Bluetooth 4.0 or Bluetooth Smart) that can be used to deliver proximity-based, context-aware messages. Li-Fi is based on VLC technology that uses light-emitting diodes to emit information in the form of binary data through modulation of light. Range The typical range of Bluetooth low-energy radio module is up to 70 m (230 ft.). In case of Li-Fi, you can receive the data as long as you are in the range of the light being emitted from an LED light source. So, the range depends on the strength of the light which is being emitted. Cost While a beacon would cost anywhere between $10-$70, the cost of beacon system depends on a number of other factors such as app and integration cost, licensing and data service cost. Since Li-Fi can work with the existing LED devices, the installation cost is much less. However, it requires an existing LED lighting system in place. Energy Efficiency Majority of beacons are battery powered and last for upto one year before they need to be replaced. LED bulbs use 85% less energy than incandescent bulbs and last up to 20 times longer. Privacy Beacons require a consumer’s consent to interact with their smartphone. A consumer can choose to receive data by keeping the smartphone in the range of LED light or can simply put away the phone in his/her pocket to avoid it. 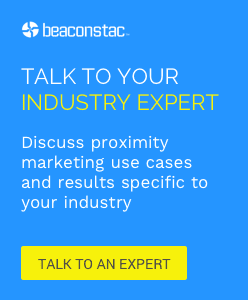 How is iBeacon technology different from VLC technology? 12) Does Li-Fi provide an alternative to beacons? a) When it comes to outdoor use-cases, interference from sunlight prevents one from employing Li-Fi solutions. However, this interference can be controlled in indoor use-cases through proper optical filters. Beacons, on the other hand, can be used without any such natural interference. b) For successful data transmission, you would need to have your smartphone out of your pocket all the time in the case of Li-Fi. Beacons, on the other hand, can interact with your smartphone without any such restriction since they employ BLE. c) One of the biggest drawbacks of Li-Fi is that it requires light to be switched on all the time to deliver connectivity. While it would not be an issue in industrial and retail environments, it would be both environmentally and practically problematic in domestic settings. You will have to keep the lights on for it to work, irrespective of the time of the day. There are more questions specific to Li-Fi that need attention. So, watch this space! We will soon have a follow-up post that would talk about some more concerns around Li-Fi, where it stands against Wi-Fi, and future implementations. If you have any specific questions on Li-Fi in mind, please share them in the comments below. I’ll be more than happy to discuss them in the next post. Thanks, I am glad it was helpful. It mean that the price of LED driver (“this” driver with programming part) minus price of normal led driver will be below $10 ? What about multiple messages at one time ? What about chromatic dispersion ? You write good and you can also share your article on Disqus channel Futurology. This will help you to share in more audience and traffic as well. When explained and researched properly, the developer had mentioned that the LED can be dimmed to such an extent that the light is almost nonexistent. Therefore allowing us to still be connected to the source and yet produce a signal, albeit at lower transfers speeds i’d imagine. But all in all I love reading new and exciting technology reviews. It’s amazing what the people in this world are doing and what they can do. Are you saying that regular smartphones include a light sensor capable of receiving high-speed digital data modulated on top of the illumination? That seems like a bold claim! I think he means to use the camera on the phone. That doesn’t help. Cameras could read data at a max of the framerate they support, e.g. 60fps.In other words they could perhaps support 30 bits per second, although in reality it would need some kind of carrier so it would be even lower than that. I think this article is talking about future smartphones which have a new receiver. In other words Lifi proponents have to convince cellphone manufacturers to add a new lifi-capable photosensor to their phones. It’s not impossible but its years away if it happens at all. Can the light bulbs be made with IR LEDs inserted into them, and thus to transmit when the light is “very dimmed” and can the IR transmit at similar speed? Any other pros/cons on the IR? Invaluable article ! BTW , if your business have been needing to merge PDF files , my business partner came across a tool here https://goo.gl/CNtNwK.